Epiphany co-founder Robin Skidmore has invested £500,000 in the launch of a new Leeds-based agency. The new agency, Journey Further, will offer PPC and programmatic display advertising. 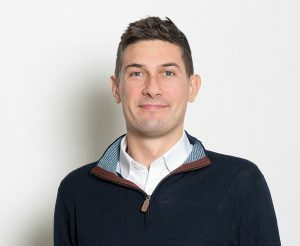 Skidmore, together with Shane Quigley, set up Epiphany and grew it from two to 160 staff in eight years before it was acquired by Jaywing in 2014 for £18m. He had subsequently stayed with the company to help grow its PR wing, Shackleton, before leaving in September 2014 to go travelling. He has now resurfaced with his new city centre-based agency which he is aiming to grow the agency to 30 staff within 12 months. Matt Kwiecinski joins the new operation as managing director after 18 years at Omnicom Group, where he was also MD. Skidmore said: “We went on an astounding journey with Epiphany, leading the way in our field, delivering incredible results and fostering hundreds of young people into prosperous careers. “Journey Further is the next chapter in that story and the paid search and programmatic space is where we know we can make the biggest impact. For too long, brands have been kept in the dark when it comes to paid performance. We want to cut through the jargon and use the latest technology to help our clients hit targets that were previously unthinkable.